A car with two Confederate flag decals and a Confederate license plate parked at the Highland Creek Heritage Festival (HCHF) in Scarborough on June 17 has prompted complaints from some members in the community. 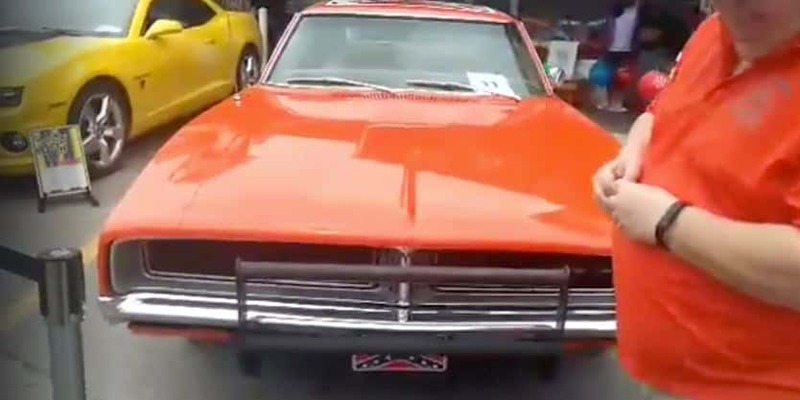 Local resident Ybia Anderson, visiting the event with her son for the first time, found the car in question, a replica of ‘General Lee’ from Dukes of Hazzard, and approached festival staff to ask that the car be removed. Anderson then began to livestream her confrontation with an alleged friend of the car’s owner and festival staff. “As a community, we have to hold ourselves accountable and we have to set the standards of what’s acceptable and what’s not. And unless we make that very clear, I feel like it will continue to happen and it will eventually be normalized,” Srithas told The Varsity. “As one of many sponsors of this year’s festival we were deeply embarrassed and chagrined by the appearance of such a hateful symbol,” Don Campbell, a Media Relations Officer at UTSC, told The Varsity. Campbell reiterated that the festival organizers, all of whom are volunteers, immediately issued a public statement of condemnation. “We are confident that they are sincere in this commitment,” he said. Scarborough residents have also been writing to their representatives, including City Councillor Neethan Shan, asking for some answers. Shan agrees that these questions need answers, and addressed the festival organizers in his own open letter. The HCHF did not respond to The Varsity’s request for comment.